While pastor of a Presbyterian church in Kelso, Scotland, Horatius Bonar (PHH 260) wrote this text, which he intended to be a children's hymn. 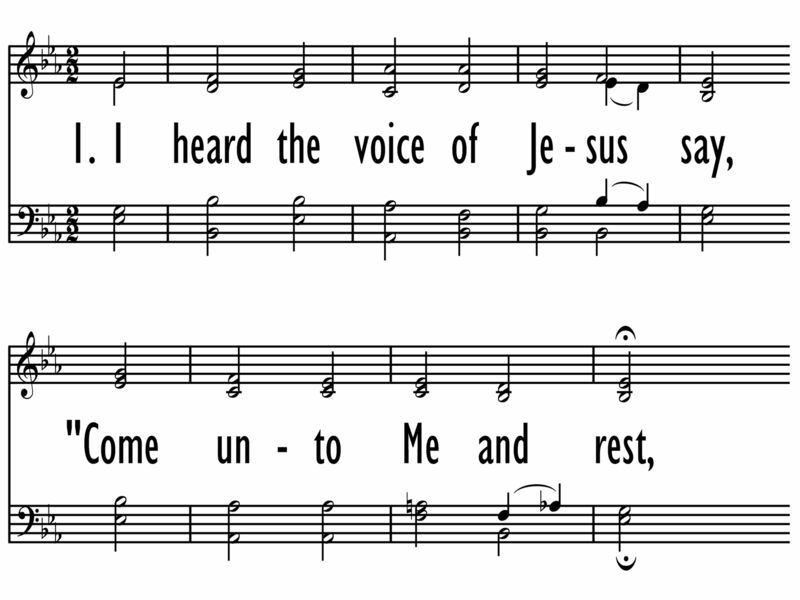 Entitled “The Voice from Galilee,” the text was published in Bonar's Hymns Original and Selected (1846) with a reference to John 1: 16 ("From the fullness of his grace we have all received one blessing after another"). 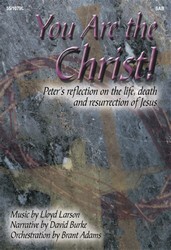 The truth of the biblical imagery and the spiritual depth of the personal responses to Christ cap¬tured in this text have made this a hymn much loved by children and adults. It is often considered to be among the finest of Bonar's many hymn texts. Each of the three stanzas has two parts: the first half quotes Jesus' words, and the second half testifies to the personal experience of responding to Christ. The entire text invites us to accept what Jesus offers: rest from our burdens (st. 1), living water to quench our thirst (st. 2), and light for life's journey (st. 3). Regular Sunday worship services; evangelistic meetings. Christian Reformed Church minister Henry Vander Werp (b. Bedum, Groningen, the Netherlands, 1846; d. Grand Rapids, MI, 1918) composed RESTING PLACE, which first appeared in his privately published The Psalms, New Metrical Version, with Tunes New and Old (Hudsonville, MI, 1911). The tune was first set to Bonar's text in the New Christian Hymna l (1929). Orphaned at age three when his parents died of cholera, Vander Werp was raised by relatives. He trained to be a schoolteacher, did further studies in modern languages, and became a tutor to a wealthy family in Rotterdam. A member of the Dutch Seceder Church, he continued his studies at the theological seminary in Kampen and then took a pastorate in Beverwijk (1879-1881). After immigrating to the United States, Vander Werp served a Christian Reformed congregation in Noordeloos, Michigan (1882). Later he was pastor at Christian Reformed churches in Chicago, Cincinnati, South Dakota, and Michigan until his retirement in 1913. Vander Werp left a considerable body of writings in both Dutch and English, including poetry, editorials, many articles in the Christian Reformed periodicals De Wachter and The Banner , two catechism books, and children's stories. His privately published psalm book (see above) contained a number of his psalm tunes with texts from the 1909 draft of the United Presbyterian Psalter . He had hoped that the Christian Reformed Church would accept his book as its official English-language psalter because of its use of Genevan tunes, but the synod of 1914 decided instead to accept the United Presbyterian 1912 Psalter (with over four hundred tunes but virtually no Genevan tunes). For regular congregational use of this isorhythmic tune (all equal rhythms) sing in harmony. Organists could highlight Jesus' quotations by a change in registration. For a more dramatic performance, try having the choir begin each stanza and then hum the parts while a soloist sings the words of Christ; the congregation could join in singing the second half of each stanza.